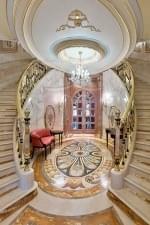 Dress up your interior space with this stunning 5ft round marble floor medallion. It is a simple but a highly decorative piece of artwork that will transform even the most ordinary-looking room into a posh and attractive space. If you have always wanted to design your interior space in a way that it will make the right statement, then consider using this custom 5ft round marble floor medallion. It is possible that you have at one time wished you had a house that looks like those stunning fortresses you see in movies. Who doesn’t admire those spacious, breathtaking interior spaces? 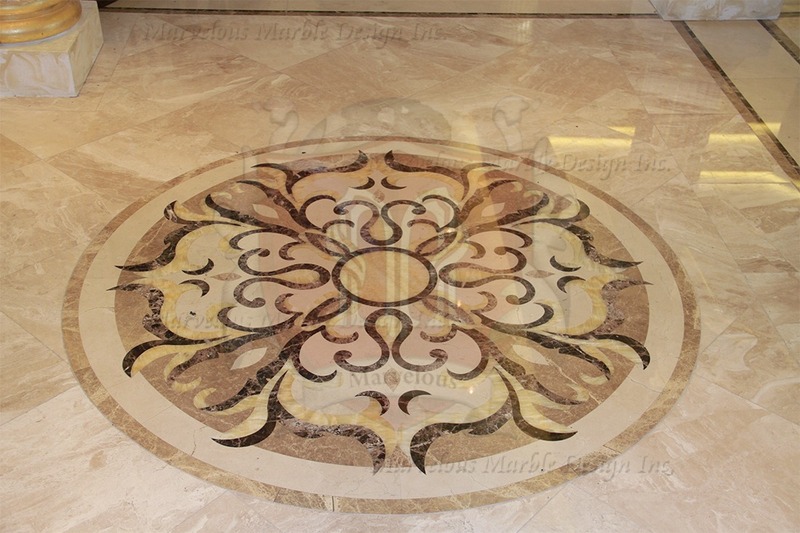 Thankfully, you can now have the same design in your own house thanks to this 5ft round marble floor medallion. For starters, this 5ft round marble floor medallion features some amazing patterns created using hand crafted marble inserts. These inserts are placed carefully in the medallion to ensure they bring out the best design and pattern. Everyone will have their eyes glued to the floor trying to figure out how the entire design was created. What better way to create a focal point in your room than using this custom floor medallion? Regardless of how marvelous other décor elements are in your house, this 5ft marble floor medallion will definitely take the center stage. The entire piece is made up of three neutral colors, namely; chocolate brown, brown, and cream. These colors give the medallion a lot of versatility, allowing you to use it in almost every part of your house. You can have it in the dining room, sitting room, foyer, hallway, and even kitchen. What’s more, it can go with a variety of other décor elements to create an all-inclusive interior design. 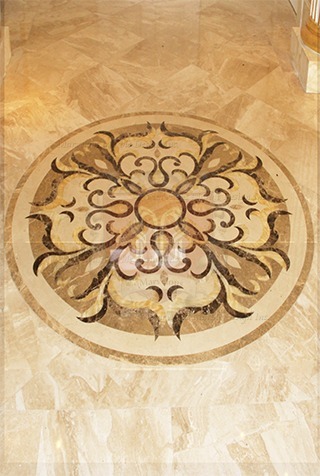 If you are looking to complement other decorations in your house with a unique floor design, then this marble floor medallion is a perfect choice. A 5ft round marble floor medallion enables you to set the right atmosphere in your room as it combines some natural shades that are associated with calmness, stability, warmth and resourcefulness. It will keep your interiors looking luxurious, comfortable, and inviting. 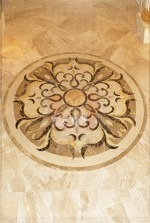 And if you want to make an impression on your visitors, then try this 5ft round marble floor medallion. They will certainly admire your taste and style. This piece of artwork is built to add life, value and elegance to a room. Whether you are designing a new house or revamping an old one, this 5ft round marble floor medallion will have a magical effect.